Servers are so central in the IT that everyone should know about them. Do you? 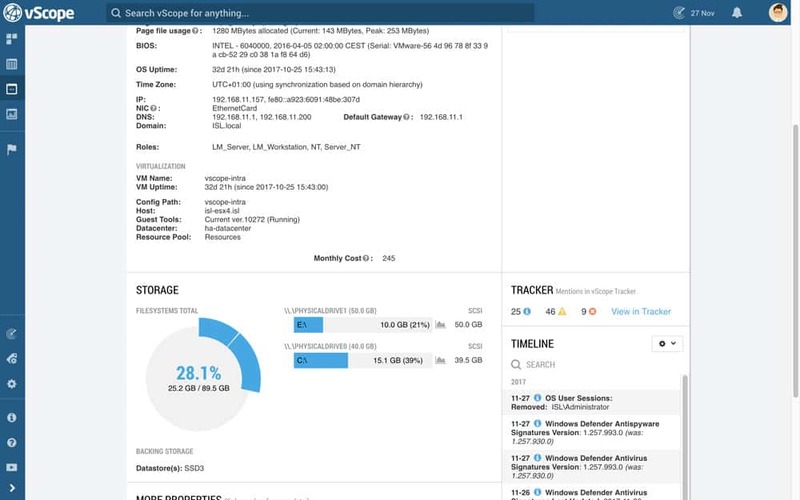 Organizations use real time monitoring, scripts and spreadsheets to collect and document information about one of the most important building blocks in the infrastructure. These kind of workflows silos the information, makes it dependant on key persons and harder to access for people that might need it the most. 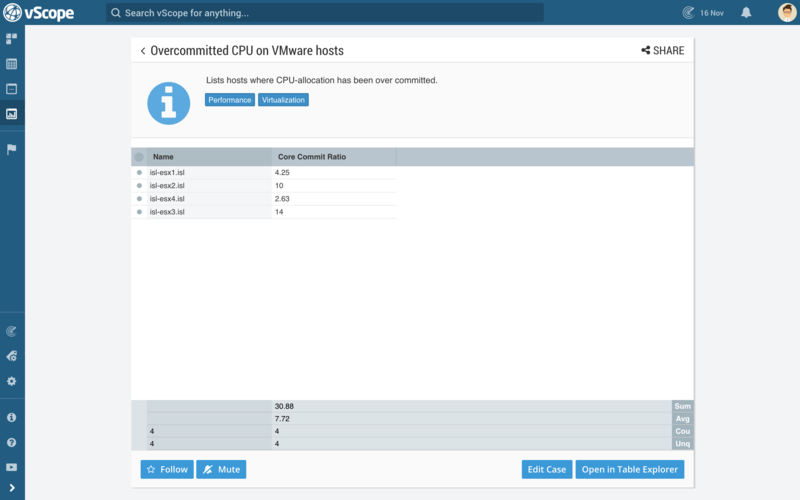 vScope Servers offers anyone at any level in the IT organizations to view the same information at the same time, without any kind of prerequisites within server configuration management. 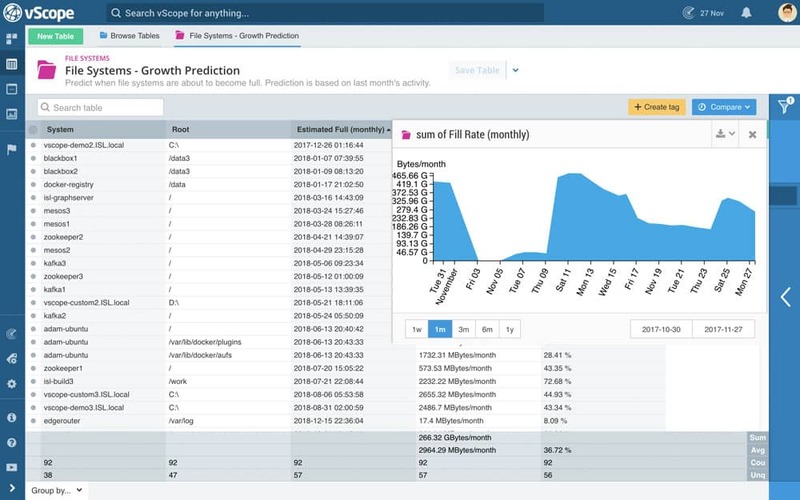 This facilitates a more transparent approach information distribution allowing IT organizations to phase out manually managed spreadsheets and replace it with a intuitive, collaborative platform for insights in IT. 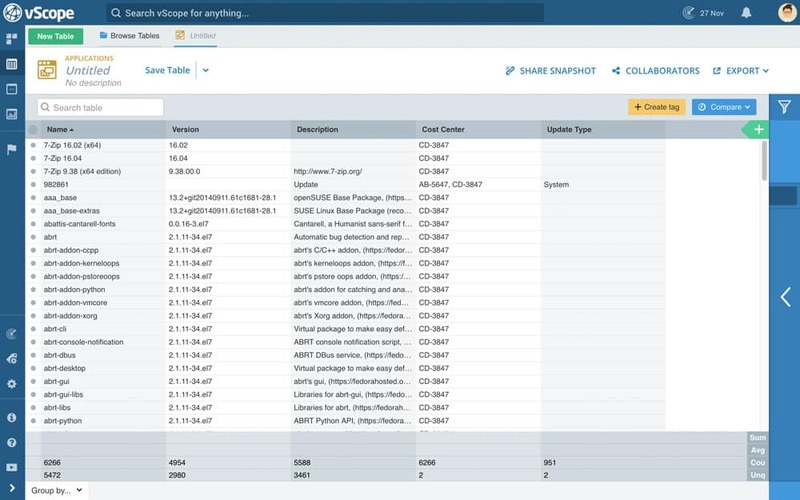 vScope is a platform for smart inventory of IT that offers organizations a common view for documentation, reporting and analysis of your entire IT infrastructure. 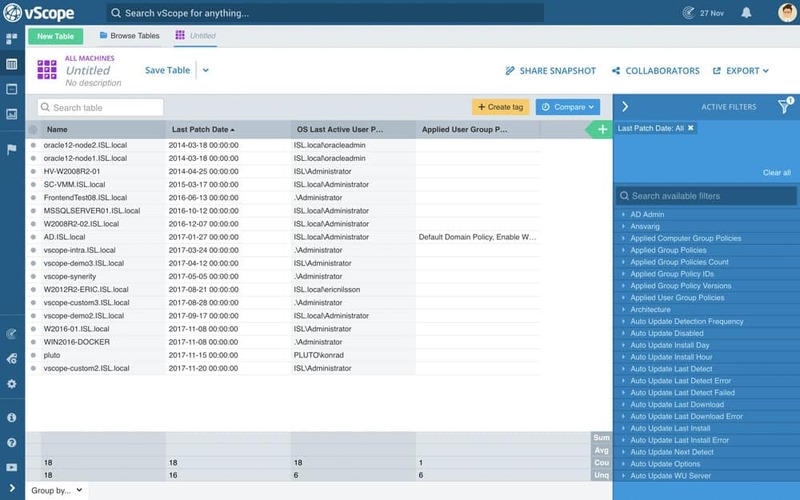 By bridging information from multiple technologies vScope can break the silos of IT and provide a common, unified platform for insights relevant many different roles in the organization. The result is increased transparency according to your needs, lowered dependency to key people, more efficient processes and in the end higher quality of IT delivery. Make it easy to access accurate information about servers. 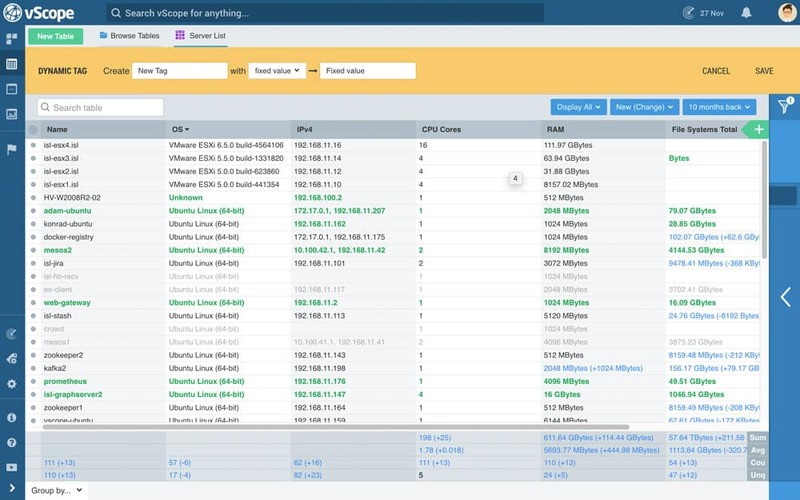 With vScope Server you no longer have to rely on key persons to get the information you need. This facilitates more productive workflows and increased transparency according to your needs. No longer any need to rely on colleagues to gather the information for you. Spread knowledge within the organization and allow people access the information they need when the need it. This facilitates productivity and much more efficient workflows. Merge server information with information from other resources such as services or databases and build customized reports for your need. 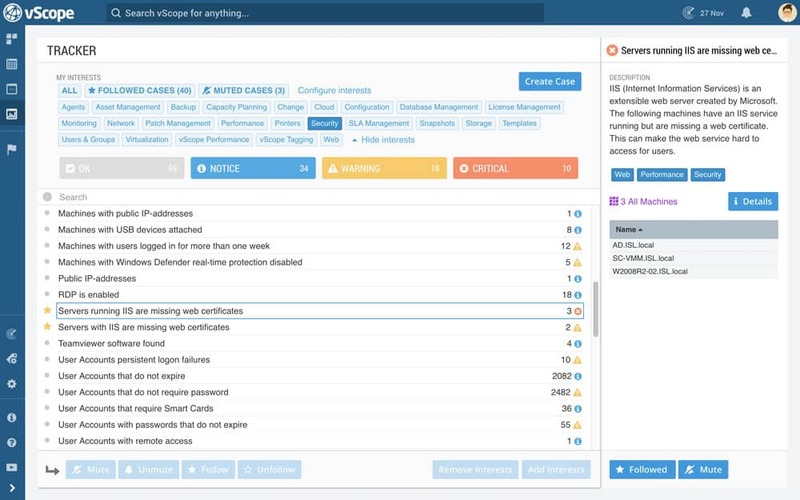 Valuable for many use cases such as GDPR, Licensing audits, Asset management, Capacity planning, Security and much more (see more below). 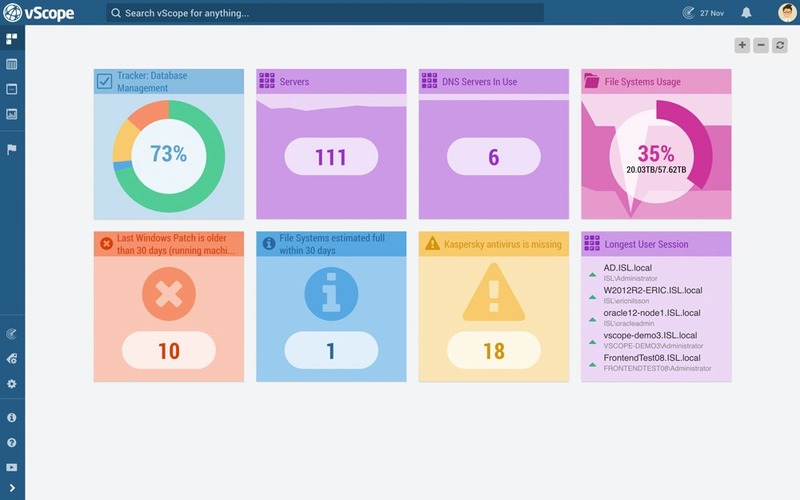 vScope Server includes all the information you need to build reports about basically anything. Patch reports, SLA follow ups, application documentation, licensing audits and much, much more. 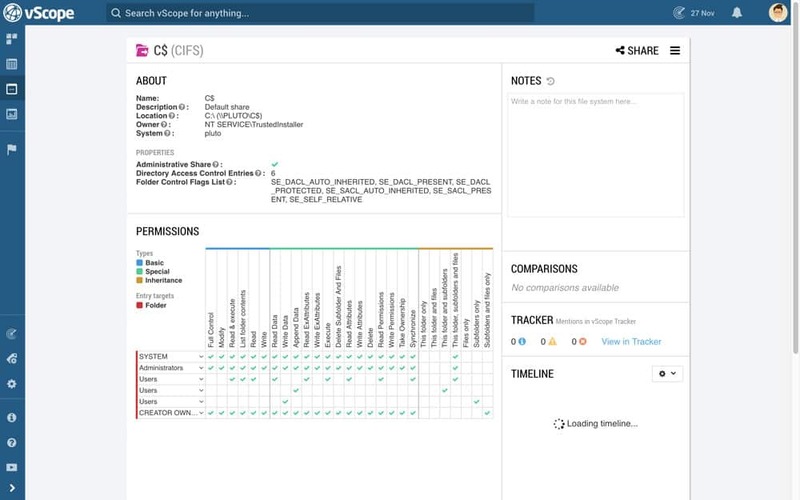 Compare changes in configurations over time to identify anomalies, build followup reports or just staying updated about the environment. Don’t worry if you have never used vScope before. 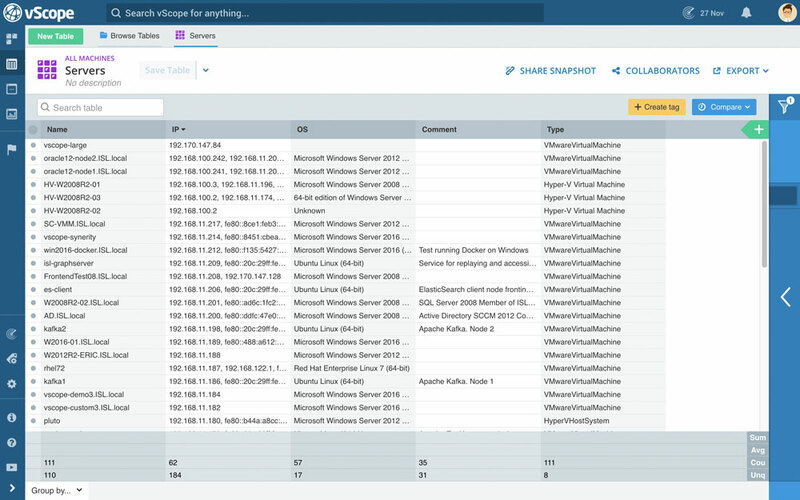 vScope will help you get started exploring your IT with built-in analysis within eg. GDPR, capacity planning, security and patch management. 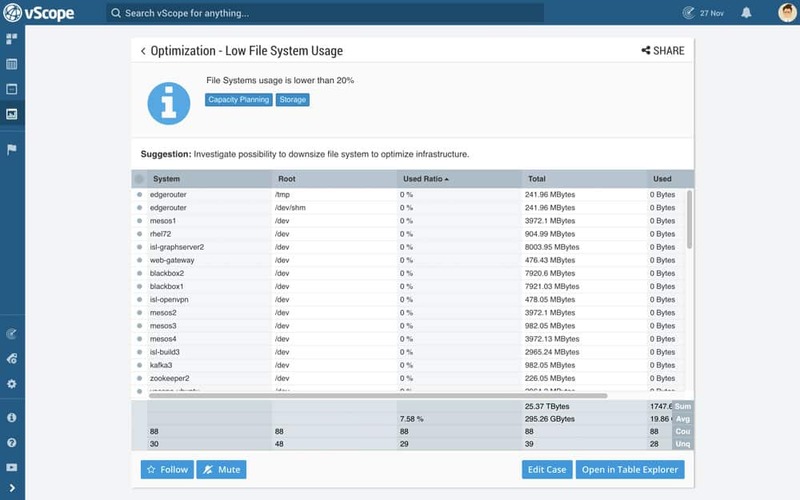 vScope Server enables a variety of use cases for IT organizations. 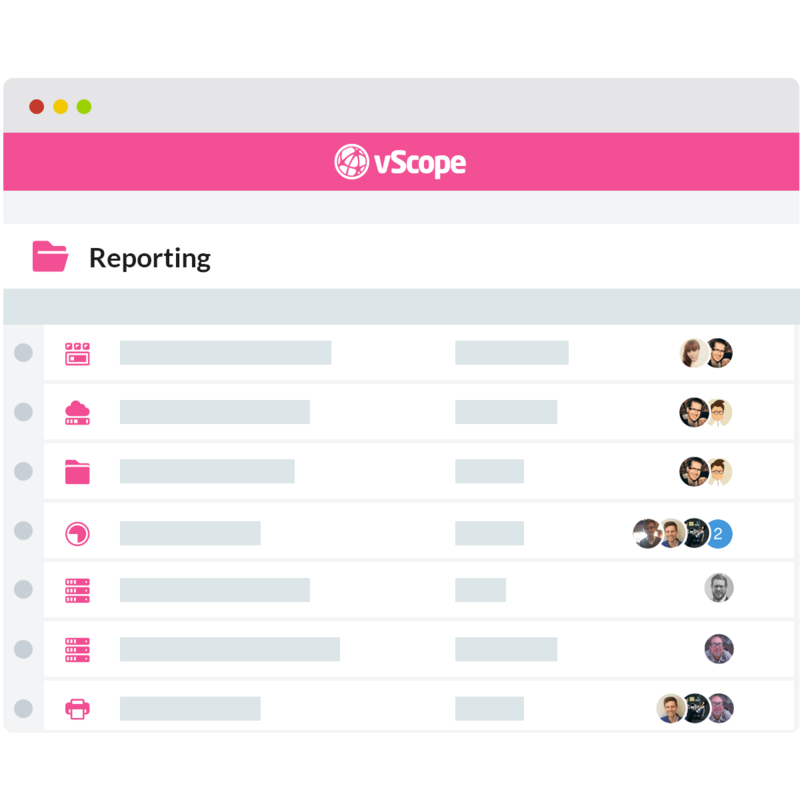 vScope Products is all integrated on vScope Core – a cost efficient platform for reporting, analysis and change of IT. No need to learn multiple tools. 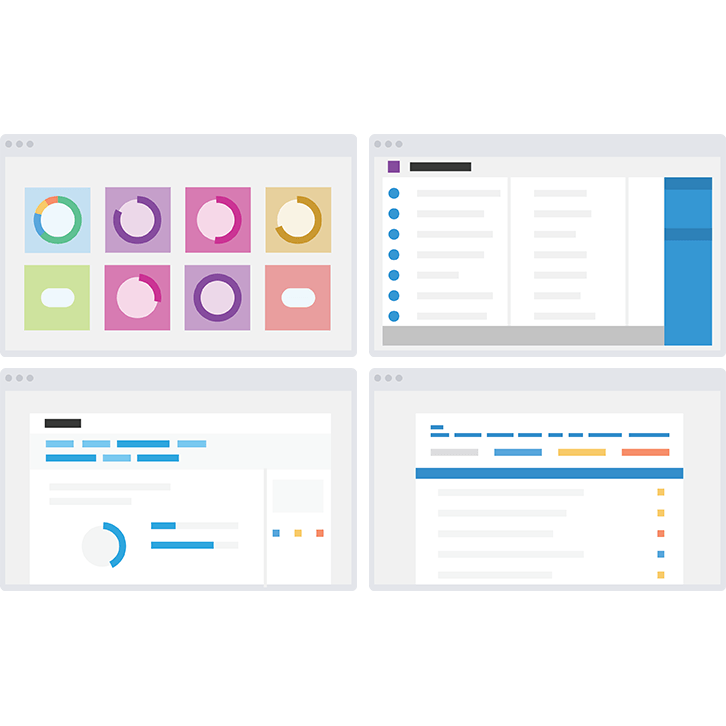 Users work efficiently in the same way – regardless of what product or information they are working with.